Welcome to 5-star app, Meditation Studio! 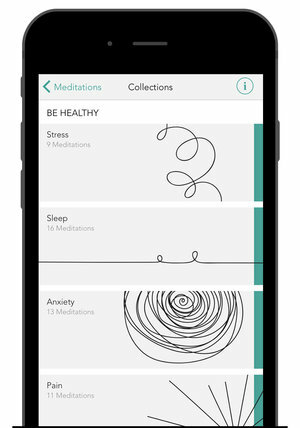 Check out www.meditationstudioapp.com or download Meditation Studio in the iTunes app store if you’d like to enjoy a low-priced annual subscription. For our complimentary one-month subscription to the first 50, please complete the form below. Browse over 300 meditations on everything from stress, sleep and anxiety to happiness, confidence and relationships. And…NOW…you can enjoy the ALL-NEW Leadership collection, a group of meditations for women inspired by my book, The Myth of the Nice Girl: Achieving a Career You Love Without Becoming a Person You Hate. Please complete the form below, and you will receive your app subscription download code within two business days. Thank you! We will email you a link to download the app in the next 1-2 days.